Home Town or Clone Town? One of the things that is very noticeable when walking abroad is the immense diversity in the high street shops in mainland Europe. Whereas here in the UK every town has had its Woolies, Boots, Marks, Coop and Smiths since I was a kid in the fifties. So the recent Tesco desertification of the UK is nothing new, In fact the protestors on Mill Road, Cambridge conveniently forget that Tesco used to have shops on Mill Road, Fine Fare (taken over by Tesco), Fitzroy Street and Regent Street back in the 1970’s. 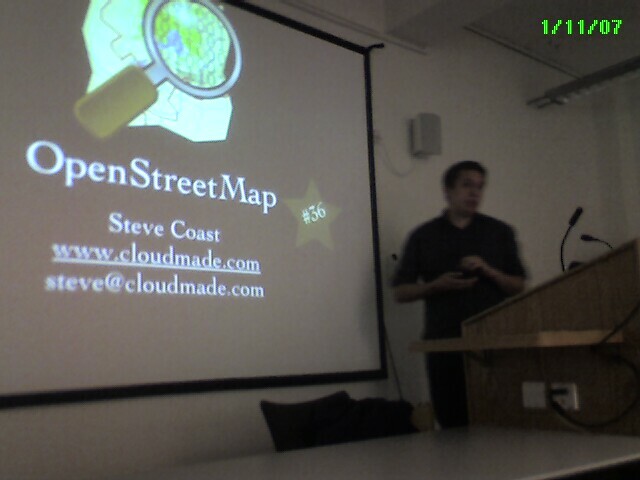 Last night I was up in London to listen to Steve Coast’s 36th talk on the Open street Map project he created (slide show is on slideshare). This is the Wikipedia of the map world. Currently 15,000 people around the world are using their GPS systems to upload tracks and create maps. The aim of OSM is to have maps, down to street level, that are free of copyright, Open so you can create mashups and Current so that the data is up todate for ALL of the world. I first met Steve at Reboot8 in Copenhagen, where we had a few beers prior to the infamous boat trip 🙂 but for whatever reason I didn’t pursue the project. However, recently I came across this great article by Dair where he found “examining the road network shows 89 “errors” in Google Maps:” in just Hayward Heath. So I was inspired to join up. 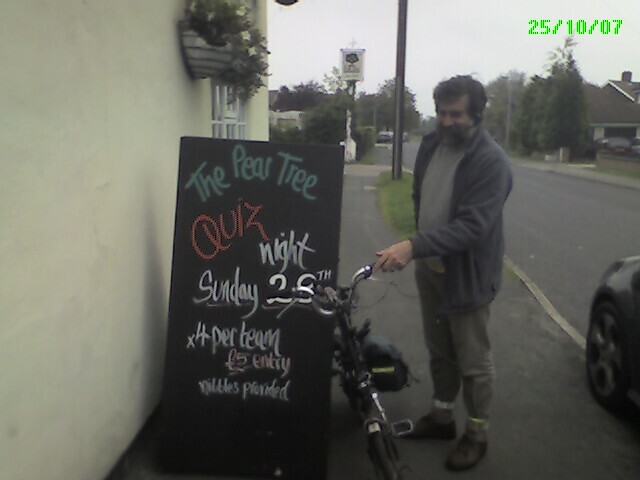 I did my first geomapping cycle ride (35miles) with David Earl last Thursday. David has mapped the whole of Cambridge on his own and his now tackling the surrounding area. I have still to get to grips with JOSM (the editor that converts your tracks to map elements that can be rendered so your data looks like a real map) although last night I heard about Potlatch which is a much simpler solution that is available when you upload the gpx files to the OSM website. Last Sunday on my walk with Sally and Caroline I collected the street data for Perry and Grafham and the walk we did. I then used Mac Simple GPS to upload the data from the Garmin GPS upto my iMac and create a gpx file. This gpx is then uploaded to OSM as a trace . The street names etc can then be entered from my notes using JOSM.